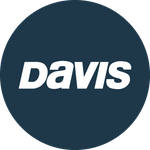 Davis Instruments Support, FAQs and Troubleshooting - There is no locking nut on the steering rod side of my motor. Do I need to use the Lube II, and if so, where can I get one? All Categories ​>​ FAQ ​>​ Marine ​>​ There is no locking nut on the steering rod side of my motor. Do I need to use the Lube II, and if so, where can I get one? Not all motors have a locking nut on the steering rod side of the tilt tube. You don't need a locking nut to install Lube II. However if you want one you can buy a stainless steel or aluminum nut from a hardware store or engine dealer to fit the tilt tube. You would need a nut with the same inside diameter and tread pattern as Lube II, which is 7/8" by 14 pitch. How many Rocker Stoppers do I need on each side of the boat to stabilize it?